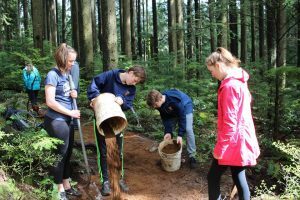 For Summer of 2018, the NSMBA has partnered with Escape Adventures and Endless Biking to work on Griffen on Fromme through the NSMBA Trail Adoption Plan. 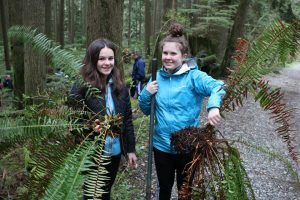 Weekdays throughout the summer, youth from the summer camp programs from each sponsor will learn about trail stewardship and help maintain Griffen. We’re hoping to reach 1000 hours of volunteer work!